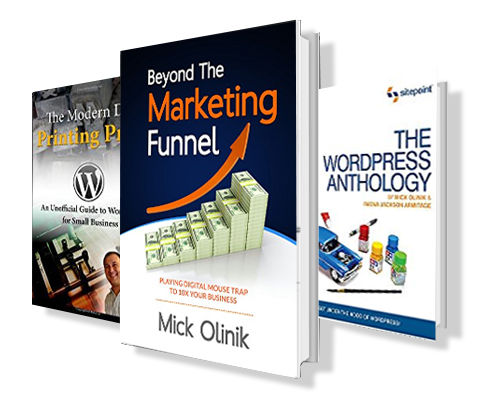 Mick Olinik is a #1 Best Selling Author in several categories. He’s written books about the benefits of using WordPress as a publishing platform for business owners and coders of all skill levels, as well as the fundamentals of online marketing automation. Mick’s books have helped shape the lives of successful business owners around the world.